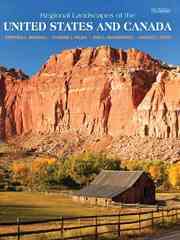 Regional Landscapes of the US and Canada 7 Edition This bestselling book has been praised for providing general readers with an excellent introduction to major geographic concepts and fundamental themes. The new seventh edition builds on this success, presenting updated and revised material. It includes information from the 2002 agricultural census and the 2005 mid-point US population census. Readers will also find updated coverage of the Southern Coastlands and Hurricane Katrina as well as new details on the Northlands and the impact of global warming. Anyone interested in the geography of Canada and the US will find this a valuable resource.